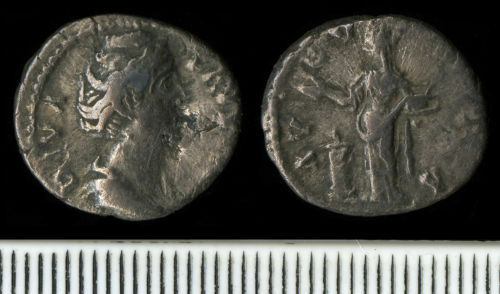 A silver denarius of Diva Faustina I dating to the period AD 141 to 161 (Reece period 7). AVGVSTA reverse type depicting Pietas standing left by altar, raising right hand and holding box of perfumes, with lid raised. Mint of Rome. RIC III, p. 72, no. 373.